As the world marched to war in 1914, the Army of the British Empire was secretly recovering from one of its most momentous events of its history. 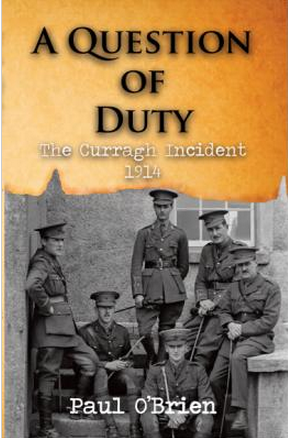 In the Curragh Army Camp in the rolling countryside of county Kildare, a senior British General and his officers had threatened to resign rather than deploy their forces to Ulster in response to threats from Loyalists there refusing to accept Home Rule. This was the so called Curragh Mutiny, which precipitated the most serious crisis of civil military relations in modern British history. This book is a must read as it Explores the why and the how of those strange days as well as putting the events in a wider context and bringing home to the modern reader just how close to civil war the British Empire stood in 1914.